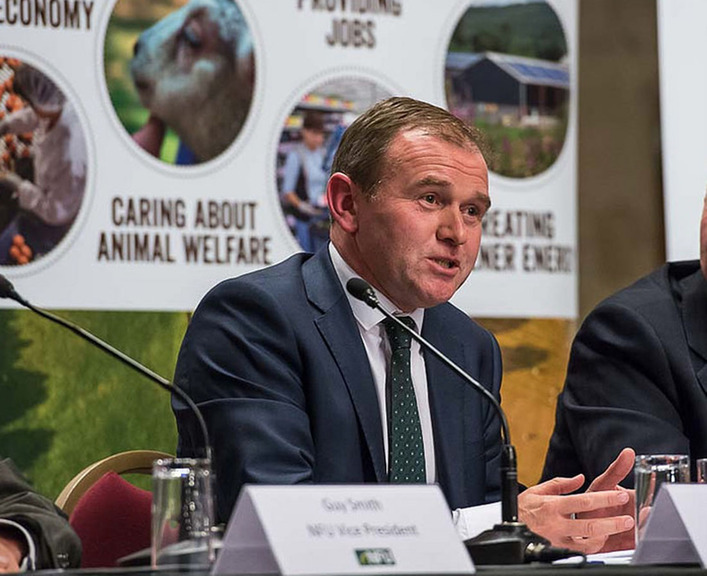 From July, the rules for moving cattle locally between owed and rented holdings in England will be simplified, under changes announced by Farming Minister George Eustice. Farmers in England will be free to move livestock between holdings they own or rent within a 10-mile radius without triggering standstills or reporting requirements under a simplification of the current overly-bureaucratic movement rules. The changes, announced on Tuesday by Farming Minister George Eustice after originally being recommended in Richard Macdonald’s 2011 red tape review, will be phased in over the next year. It will improve information about animal movements and land being used for livestock production, important for helping prevent and control diseases, Defra said. 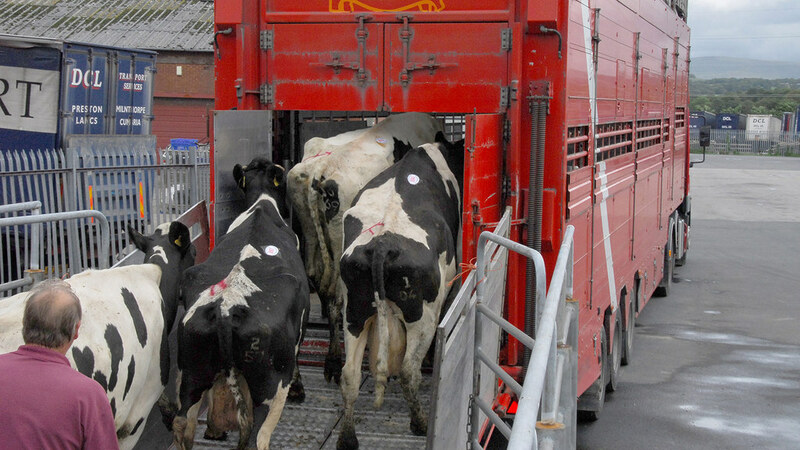 Under the existing regime, many farmers are required to report livestock movements to any other land they own or rent beyond a five-mile radius of their home farm. The reporting automatically triggers the six-day standstill, during which no animals can be moved. This is part of a raft of different rules for sheep, cattle and pigs under a complicated web of schemes, including the Cattle Tracing System Links and Sole Occupancy Authorities. Defra said the new scheme would replace this ’complicated bureaucracy’. All farmers will be able to move their animals around any land they have registered and are using within a 10-mile radius without the need for reporting, or standstills. Reporting and standstill requirements for livestock movements to other farms or businesses will continue to apply, however. Announcing the change, Mr Eustice said: "Our farmers often face overly complex rules and regulations. "Making it simpler for them to understand what they need to do will help them follow the rules and improve our disease control capability by ensuring better information on animal locations is being recorded on Defra’s livestock location database. "When a disease outbreak occurs, knowing where animals have been is fundamental to containing and eliminating it." NFU livestock board chairman Charles Sercombe welcomed the announcement. He said: "I applaud these changes and we believe they have the potential to simplify the holding registration and livestock movement regime which has been a burden on the livestock industry for many years." “Many of our members have indicated that this is a positive step and should clarify how they manage their businesses on a daily basis, without any loss of traceability and disease control measures. The RPA’s Arik Dondi said: “The RPA welcomes this move as it will rationalise and simplify the process for farmers and keepers. APHA’s veterinary director Simon Hall said: “These changes will make previously complex rules more clear and will reduce the reporting burden for many livestock keepers. Livestock farmers will receive guidance about the rule changes from next month. The new rules apply in England only and affect cattle, sheep, goats and pigs. Farmers will be able to apply to register all the land they use -permanently or on a temporary basis -within a 10 mile radius, under the same CPH (County Parish Holding) number. The 10-mile radius is measured from the ‘place of business’ point of the CPH (usually the animal gathering point or correspondence address). Livestock movements between pieces of land in the same CPH will not need to be recorded or reported and will not trigger standstill rules. Defra will be writing to farmers who would like to merge CPHs between summer 2016 and summer 2017. Once the changes have been made, farmers will still need to record and report livestock movements between different CPHs and these movements will trigger the standstill rules on all the land included in the CPH to which the animals have moved. Land used on a permanent basis (at your disposal for more than a year) will be registered under a permanent CPH number allocated by RPA. For land used on a temporary basis for keeping livestock (less than a year at a time), you can use the CPH number of whoever owns the land. If the owner won’t allow that (or if the land is not yet covered by a CPH number) you will be able to get a new temporary CPH (tCPH) number, lasting a maximum of one year (with an option to renew). Movements between it and other CPHs will need to be reported and will trigger the standstill. Alternatively, if you temporarily use land within 10 miles of a permanent CPH that you hold, you will be able to associate that land via a Temporary Land Association (TLA). TLAs will also last up to a year (with an option to renew). During that time, the land will be treated as part of your permanent CPH for all livestock recording and reporting purposes. All current tCPHs will cease to exist. If you still use land on a temporary basis you will be able to replace it with either a new tCPH or a TLA as described above. All Cattle Tracing System Links (CTS links) will be withdrawn by summer 2017 under the new system. CTS links have allowed keepers to link holdings if they frequently move cattle between them. Currently, movements between holdings linked on CTS do not have to be reported. All Sole Occupancy Authorities (SOAs) will be withdrawn. SOAs are currently a way of grouping together holdings under the management and control of the same livestock keeper. They allow that keeper to move his animals between those holdings without observing standstill. Defra will write to affected farmers with further information on the available options. This allows sheep and goat moves between different holdings within the same business (provided the keepership does not change), to be reported at a batch rather than an individual level. Once this exemption has been removed, all sheep movements between different CPHs must be reported at an individual animal rather than a batch level. This means their individual tag numbers must be included in the movement report (except for movements of batch-tagged slaughter animals – who are identified with just their flock mark). The ‘adjacent moves reporting exemption’ will be removed. This allows keepers not to report frequent sheep or goat movements to contiguous (adjacent) land on a different holding. Once this exemption has been removed, all livestock movements between different CPHs must be reported and recorded, whether or not the land is contiguous (adjacent). If you take advantage of the 10-mile rule under the new arrangements, and merge your permanent CPHs, you will no longer be able to use ID tags for the holdings that are closed. You should therefore order the minimum tags necessary for this year’s tagging, to avoid wastage. The new scheme will be phased in over 12 months. Defra will write to all registered livestock keepers in May 2016. Defra plans to start rolling out these changes from June to July 2016, and expects that the changes to be completed by 'summer to autumn 2017'. The sheep and goat movement reporting exemptions will then end on 1 January 2018. Defra will review the standstill regime in 2018, once the changes in the CPH system have bedded in.